MAALAEA — Businesses, churches and community members around Maui are responding to the federal government shutdown with startups of goodwill. 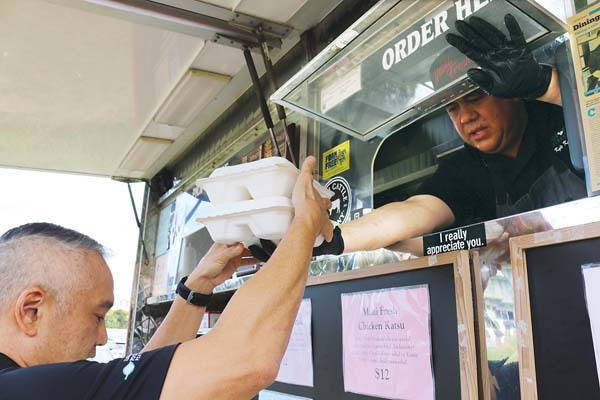 “Can’t shut down aloha,” said Kyle Kawakami, Maui Fresh Streatery food truck chef-owner, who is helping lead a charge for meal donations. Several groups and individuals like Kawakami have been coming forward amid the shutdown to give food and other essentials to federal workers who have been working without pay. Today is day 26 of the longest government shutdown in U.S. history. On Wednesday, Kawakami of Kahului cooked 15 meals that his brother-in-law, retired U.S. Coast Guard Capt. 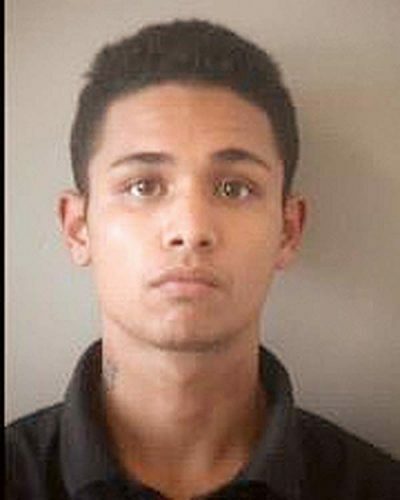 Evan Watanabe of Wailuku, delivered at lunchtime to the U.S. Coast Guard base in Maalaea. Retired Maui County Fire Capt. Rex Takushi points to frozen and fresh items purchased from Costco on Wednesday for donation to the U.S. Coast Guard service members in Maalaea who are impacted by the federal government shutdown. The service member spoke on condition of anonymity because federal workers have been ordered not to do media interviews. Coast Guard members cannot accept cash or gift cards, the military official said, but they can receive canned food, meals, baby food, pet food and other supplies. Also Wednesday, retired Maui County Fire Capt. 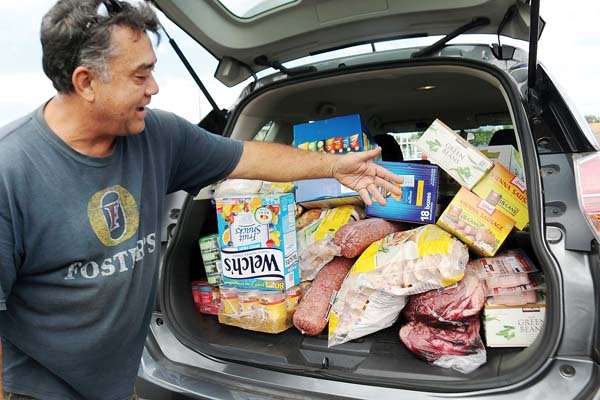 Rex Takushi of Haiku drove his SUV filled with frozen and canned foods from Costco to the Maalaea base. Takushi said he wanted to help because he feels a connection to Coast Guard members, since they often back up firefighters. Tonight, Pukalani Community Church of the Nazarene will be cooking spaghetti with meat sauce to give to anyone impacted by the shutdown. Church members made chili and rice Tuesday and packed it for federal workers to pick up at their Upcountry facility. Workers can make appointments to pick up the meals by calling Lauren Dobashi at 280-4230 or Jon Alamillo at 357-4194. They can also direct message PukaNaz on Facebook. The “Pay It Forward” board at Maui Fresh Streatery has generated nearly 200 meal donations for federal workers or others in need since it launched Friday. Since Friday, Kawakami has been leading a social media effort to “Pay It Forward” with Maui Fresh Streatery meals that can be donated to federal workers, or anyone wanting a hot meal, he said. 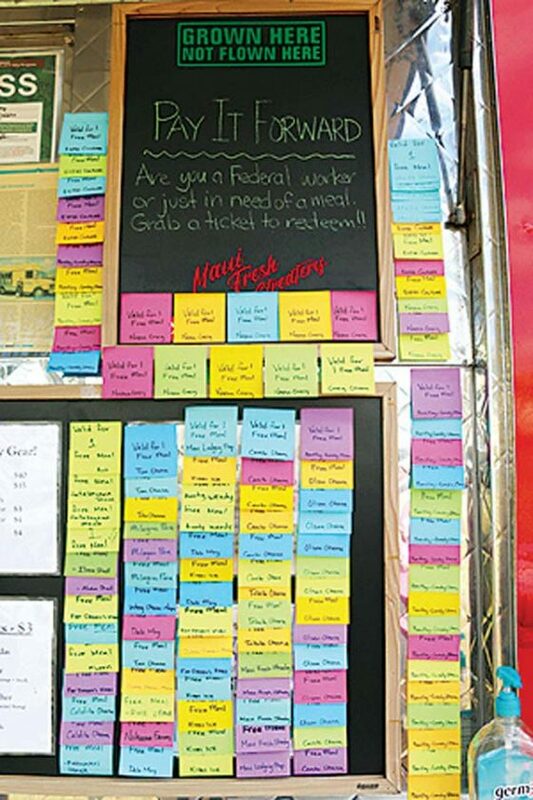 Customers can purchase a Post-it note that gets placed on the food truck’s board, and anyone in need of a free meal can pull off a note to redeem for a meal. 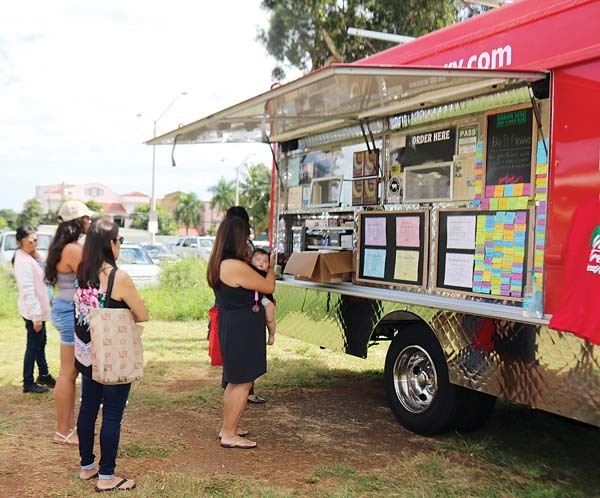 The food truck is open from 11 a.m. to 1 p.m. on Mondays, Wednesdays and Fridays at various Central Maui locations, which are posted on Maui Fresh Streatery’s website and social media accounts. Already, close to 200 Pay It Forward meals have been purchased by people onsite, or via phone from as far away as Maine, Kawakami said. As of Wednesday evening, approximately 20 meals have been picked up at the food truck by federal workers, which included a handful of people who were “just down on their luck,” he said. Also, the chef made 30 meals Monday, and his cousin Shane Kawakami delivered them to federal workers at Kahului Airport where Shane works as a state security officer. Customers wait in line at the popular Maui Fresh Streatery in Wailuku on Wednesday. Maui Fresh Streatery food truck, Central Maui. Open Monday, Wednesday and Friday from 11 a.m. to 1 p.m. For current hours and locations, visit Facebook, Instagram or Twitter from the Maui Fresh Streatery Website, mauifreshstreatery.com. Maalaea General Store. Owner Kristine Peterson has been helping U.S. Coast Guard members with meals. Contact her via the store, 242-8900, for toiletries, paper towels, diapers and nonperishables. Pukalani Community Church of the Nazarene, Pukalani. Pick up by appointment. Call Lauren Dobashi at 280-4230 or Jon Alamillo at 357-4194, or direct message PukaNaz on Facebook. Rock & Brews, Paia and nationwide. Choice of free pulled pork sandwich or strawberry fields salad; one meal per day. TSA ID required. For location and hours, visit rockandbrews .com/paia. Ultimate Air Maui Trampoline Park, Wailuku. Federal government workers with ID will get one free hour of jumping per child from 5 to 8 p.m. on Friday. The trampoline park is partnering with Maui Fresh Streatery, which will be on-site Friday evening to offer free food to federal workers. For information on the park, visit ultimateairmaui.com. Maui High’s DJ Sable drives against Kamehameha Maui’s Kamalu Segundo in the second quarter Wednesday. Segundo puts up a first-quarter shot as the Sabers’ Jojo Pacubas defends.